Every month we publish a little list of the coolest things that we have found online. It is a little contest that we have in the labs, trying to one-up each other in our trans-Atlantic slack channel. But now the new year is upon us, and the time has come to choose the cream of the crop from 2018, the best of the best, the coolest of the coolest things that we saw last year. While these folded cardboard creations may not have caught on the way that some people were expecting, we still can’t get over the sheer inventive fun of the Nintendo Labo. Our hats are off to the designers who brought the cardboard fort into the videogame age. February might seem decades ago, but it is hard to believe that we have forgotten about the successful launch of SpaceX Falcon 9 Rocket out of Vanderberg Airforce base back at the start of the year. That mysterious streak across the night sky above the San Francisco Bay is still one of the coolest things we’ve seen all year long. 2018 may have been a year of endlessly exploited nostalgia, but it is hard to deny the simple cleverness of promoting the retro-nostalgia-fest of Ready Player One with a free online arcade experience. Sadly, it has since been removed from the RPO official website, but for a few weeks you could mount that weird bird and fight other weird birds in glorious technicolor. Big data has been driving major businesses for quite some time now, so it is nice to see the public sector picking up on the trend to deliver better results for its users, particularly when those better results are for the national health service that keeps people in the UK alive. 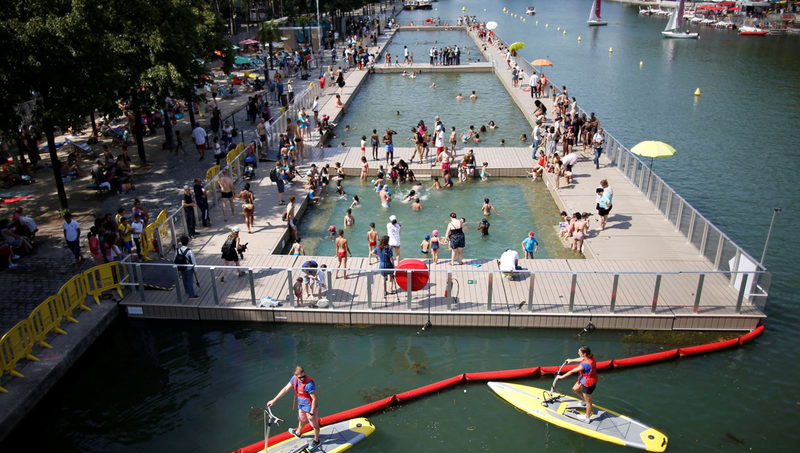 While this idea has lost a little bit of its shine now that the winter months have rolled around, there is no denying that converting disused stretches of our cities rivers back into safe and clean swimming spaces is still a solid plan. Fashioned after a busy kitchen, this ex-Google design director’s approach to to-do lists revolutionized the way that some of the people in the labs organize themselves. With enough brevity to keep you from being overwhelmed, but enough information to keep you informed. You might not realize just how much attention Netflix pays to the selections that you make, but there are layers of algorithms at work within the UI of their service, and one of the neatest things we have caught them doing is choosing the best of the available “posters” to match our tastes and tempt us into trying a new show. A subscription service that gets you a takeaway lunch at a different restaurant of your choice every day, so you can just walk in and pick it up instead of blowing your whole lunch hour? And it costs less than £5 a day? Sign us up! This particular cool thing may only be cool to us, but seeing one of the world’s leading business consultancies shouting about the importance of design to their clients feels a little bit vindicating for a design practice who has been saying the same thing for decades! Riffing on the now rather infamous “diversity letter” of a mysteriously ex-employee of google, this little letter is a hilarious spoof of our human-centric approach to the world. So, there you go, the best of the best to see you through until the great battle for cool thing supremacy kicks off again this year!